Paolo is a founding partner of C&G Law. Paolo started his career with Quisumbing Torres, as a trainee solicitor and, later, associate. He thereafter joined SyCip Salazar Hernandez & Gatmaitan in 2002 and was a senior associate there until 2007. 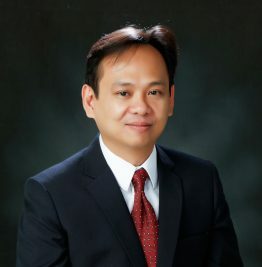 Paolo specializes in civil and commercial litigation, before Philippine courts of all levels as well as quasi-judicial bodies, covering a diverse range of subjects, such as contractual disputes, product liability, torts, medical malpractice, intra-corporate controversies, enforcement of foreign judgements and arbitral awards, natural resources and environmental law, public utilities, taxes and other governmental impositions, and banking and securities law. Paolo specializes in civil and commercial litigation, having appeared and argued before Philippine courts of all levels as well as numerous quasi-judicial bodies. He also practices criminal law, having appeared as both private prosecutor and defense counsel. His practice areas also include labor and employment law, as he regularly advises and represents clients on matters relating to labor standards and employee benefits, labor-management relations, the imposition of sanctions on employees and termination disputes, employee transfers, reorganizations and other personnel movements, and union concerns. Co- Co-authored the Philippine chapter of The Dispute Resolution Review, 5th Ed. published by the Law Business Research Ltd of the UK in 2013. Co-authored the Philippine chapter of International Product Liability Law—A Worldwide Desk Reference (2003 edition), by Gregory L. Fowler (Aspatore Books).